The Johnson Family singing and playing for worship, a theatre production performed twice during the weekend, recitals and the previous week jazz and the Blessing of the Animals. It seems we are constantly enriched with an abundance of blessings. Seminarian Louis will preach this Sunday. Anticipate a great occasion! And thanks to our Seminarian Committee that has begun to guide and shape his pastoral formation at Peace. 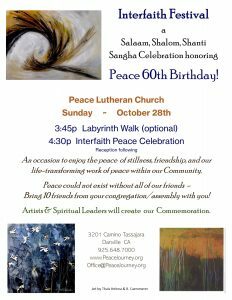 Peace 60th Birthday: On October 28 we will have an abbreviated worship with 2 wonderful Surprises to honor our 60 years….and the 501st Anniversary of the Reformation. 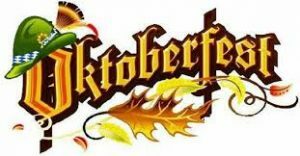 all the traditional meal of bratwurst and sauerkraut and German biers! 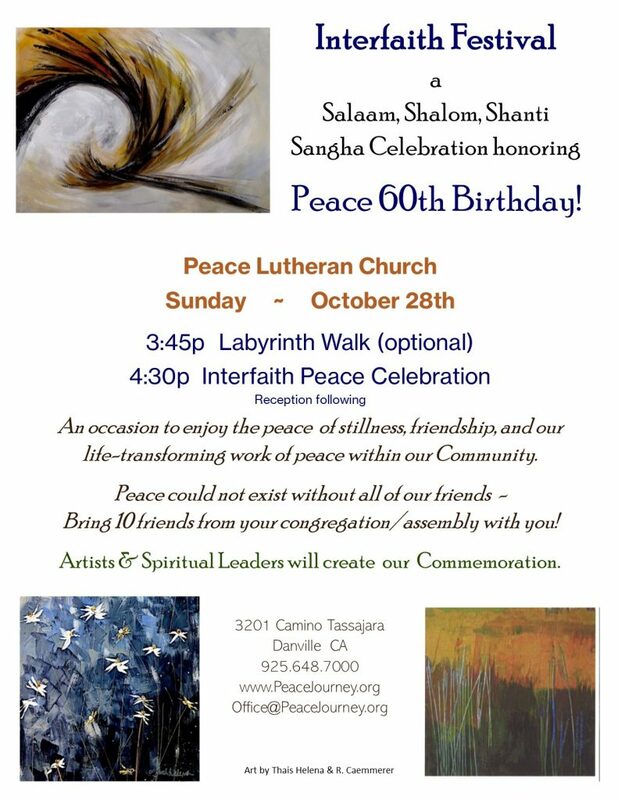 With a little rest in the afternoon you’ll be able to return for the Interfaith Festival at 4:30. Be sure to sign up to help with the Celebration! We are all Hosts for the Event so welcome everyone you can and invite others to join you! We know that you are always thinking about our social, political and economic situation. We know that in your prayers you ask God for us and that gives us strength and increases our hope for a better life. We thank you for the help you plan to send us because it will help us meet some of our basic needs. During this second planting we have received the blessing of the rain twice and we have faith in God that we will harvest even if it is just for the consumption for our families. We stand in solidarity with you through our prayers so that your petitions have a response in God’s time. We want to share with you that the community meetings are being held in the homes of each of the group members. Thank you for the candle, the photograph of our sister Enriqueta and the drawing symbol of the Holy Spirit that guides us every day. With love, Your sisters from Laurel Galán. St. Francis and the Blessing of the Animals: Bring your furry, feathered, scaly friends to worship this Sunday at 10 for one of our favorite annual celebrations. It’s okay if they don’t know what they believe….you can bring human friends, too. Drawdown: The Most Comprehensive Plan Ever Proposed To Reverse Global Warming (Paul Hawken, editor). Looking for 100 Substantive Solutions to reverse global warming based on research by scientists and policymakers from around the world? This is it! These solutions already exist, are economically viable, and communities around the world are enacting them with skill and determination. A copy of this book will be available for your review during Hospitality Hour on Sunday. Our 14th Season of the Jazz Church West begins this Sunday at 5:00 pm with the Erik Jekabson Sextet including internationally acclaimed Percussionist John Santos. Whether you want to be cool or need to impress a hot date – the Jazz Church is the place for you! This Saturday at San Damiano Retreat Center: Aloha Qiqong and the Legacy of St. Francis. I am co-leading this retreat with Kaleo and Elise Ching from 9:30 – 3:30. If you would enjoy learning an earthy Qiqong practice and wisdom about our Patron Saint of Ecology, join us. 837-9141 to register or sandamiano.org. Earthy, animal blessings in the spirit of St. Francis!